Using the latest analysis technology to determine levels of site contamination following a spill is the subject of a paper being given by Hugh Neatherway, CSG divisional manager (spill response), at UK Spill 2015, the annual conference of the UK Spill Association being held on 3rd February at Donington Park. With the title ‘Use of the Safe Soil Test to Determine Oil Contamination Plumes’, the paper will illustrate how the latest technology can be used in the field to give reliable evidence of the presence of potentially harmful levels of contaminants – quickly and effectively. It can test for contamination in a wide range of materials including soil, sand, slurry, silt and sludge with results being available in less than eight minutes subject to test conditions. Mr. Neatherway said: “We are now using this equipment on a regular basis to quickly give us reliable figures on which to base the best course of action to be taken to deal with potentially damaging oil spills”. Cleansing Service Group is one of the largest privately-owned industrial and domestic environmental waste management groups in Britain and operates from 23 sites stretching Cornwall to Kent and up to Middlesbrough. 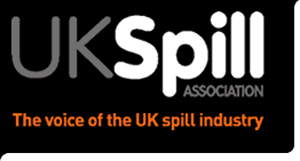 The company is a founding member of the UK Spill Association. CSG’s 24/7 emergency response service is available to all companies and registration is free at www.csg.co.uk/emergency_hotline. The emergency number is 0800 587 3133.